Follow A40 until signposted towards Aylesbury/Thame on the A418. Follow signs to Thame, staying on the A418 until you reach a large roundabout. Follow signposts to town centre (2nd exit), along Oxford Road and we are on the left hand side, at the top end of the town, opposite the entrance to the main car park. Leave Chinnor on the B4445 towards Thame. Follow road directly into Thame town centre. 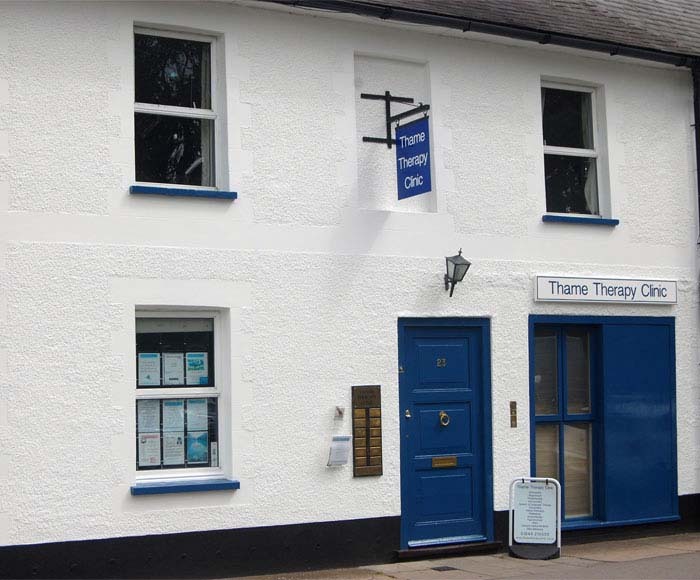 The clinic is on the right hand side as you enter the town. There is always ample free parking in the car park directly outside the clinic except on market day on Tuesdays when you may need to park on surrounding streets.